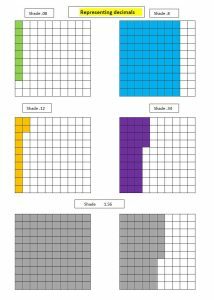 This is the last part of number operations dealing with decimals: multiplication and division in a concrete and pictorial method. 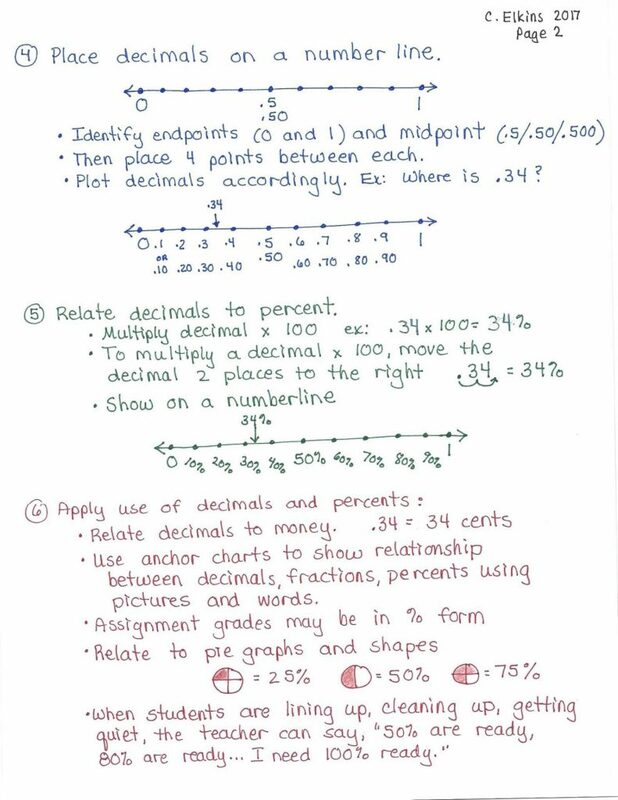 This is actually not part of the KG-5th grade OAS standards, but it is addressed in 6th grade and for those of you utilizing the CCSS, you will find multiplication and division with decimals starts in 5th grade. Or you may have advanced students who are ready to explore this concept. There are a couple of freebies included in this post. Read on to find them! 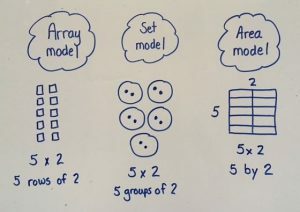 Typically we teach our students that when you multiply 2 numbers together, the product is larger than the 2 factors. And when we divide two numbers, the quotient is smaller than the dividend. Be careful about stating this generalization: This remains true when multiplying whole numbers (or even a combination of whole and decimal such as 5.2 x 6.4 = 33.28 in which the product is larger than either factor), but NOT with decimals or fractions less than 1 (example: .7 x .2 = .14 in which .14 is less than either factor .7 or .2). 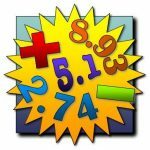 With division of decimals less than 1, the answer is often a whole number larger than either the divisor or the dividend (such as 5 divided by 1/2 = 10). 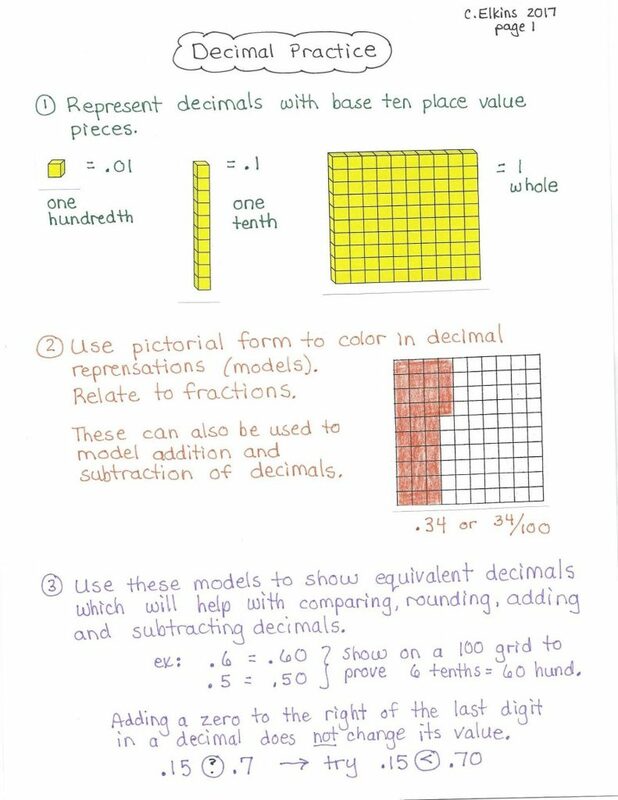 This is a difficult concept, but modeling and practicing with concrete and pictorial models helps to see the reasoning. So, be careful not to say, “When you multiply two numbers together you always get a bigger number.” because it’s not always true.